Consolidated Electrical Distributor (CED SA) is the exclusive distributor of Chint circuit breakers and Horizon switches and sockets in South Africa. The company supplies electrical wholesalers, distributors, OEMs and panel builders. Founded in 1984, Chint Group has become a leader in Chinese industrial electrical equipment and clean energy. It has insisted on the philosophy, “Make electricity more efficient, safer and greener” since it produced its first miniature circuit breaker 33 years ago. Chint is a supplier of low-voltage electrical products and has ventured into the transmission and distribution, medium and high-voltage equipment manufacturing, and gradually grew into a leader in the meter, automation, building appliance, automotive and other industries. Intelligent, energy-efficient transmission and distribution equipment by Chint stabilises power transmission and reduces power losses. The company’s measurement and control solutions provide precise control of energy metering and its automation and information systems promote energy efficiency. Chint is the largest manufacturer of low-voltage electrical products in China. Its products are sold in more than 130 countries and regions around the world, including Europe, Asia, the Middle East and Africa. It has a total asset base of $7,1-billion and employs 30 000 people. It has 97 subsidiaries internationally and over 2300 distributors around the world. 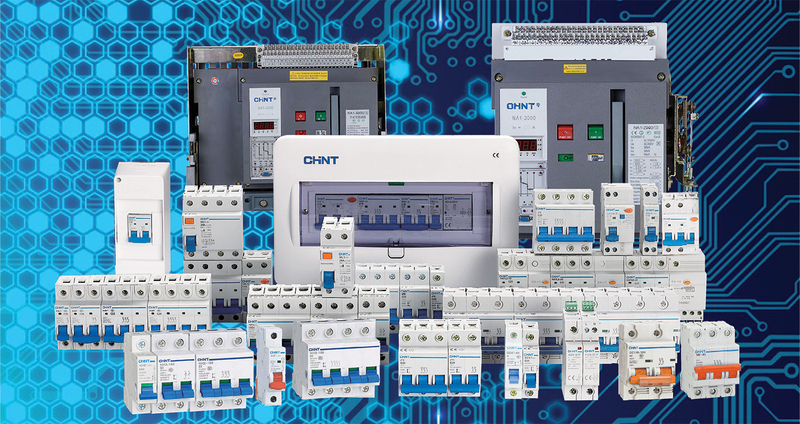 After 33 years of development, the Chint Group is today Asia’s largest low-voltage electrical product supplier. Products range from low-voltage electrical products to power transmission and distribution equipment and services, instruments and meters, building appliances, automobile parts, industrial automation and PV power generation equipment, among others. It is one of the largest clean energy suppliers and energy efficiency management solutions providers with the most complete product ranges in China. It has three research and development centres located in Europe, North America and China respectively. As a world-class supplier of low-voltage electrical products, Chint power distribution products include more than 100 series and 10 000 specifications. As a low-voltage electrical brand with the largest production and sales in Asia, the company provides a “one-stop” low-voltage distributor offering solutions for power grids, the petrochemical and manufacturing industries, real estate, the construction industry, and many others. Its transmission and distribution products provide complete power transmission and distribution system solutions and general engineering, procurement and construction (EPC) services for industry, infrastructure and residential markets. 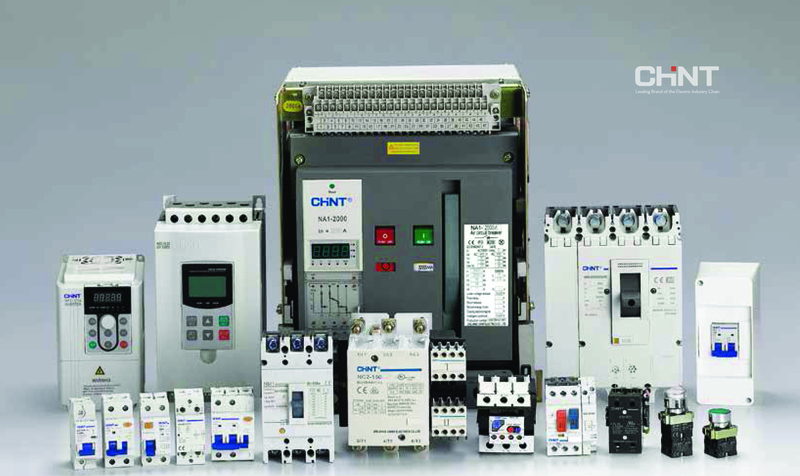 With extensive experience in the manufacturing and installation of transformers, GIS, switch cabinets, high and medium-voltage components, wire and covering power transmission and distribution, Chint provides reliable products and services for the State Grid Corporation of China, China Southern Power Grid Corporation, Inner Mongolia Power and other mainstream power grid companies in nearly 500 substation and power transmission projects across the country. Chint’s intelligent, energy-efficient transmission and distribution equipment is sold in more than 129 countries and the company provides EPC services for dozens of countries around the globe. The Chint Group’s sub-brands include Noark, Astronergy, Xinhua, Chitic and others. These brands cover photovoltaic power generation, industrial automation, power transmission and distribution equipment, low-voltage electrical apparatus, instruments and meters, building electrical appliances, automotive electrical and other fields. Founded in 1984, Chint has become a leader in Chinese industrial electrical equipment and clean energy. The company believes in the philosophy, “Make electricity more efficient, safer and greener” which it has employed since it produced its first miniature circuit breaker 33 years ago. Chint is a supplier of low-voltage electrical products and has ventured into transmission and distribution, medium and high-voltage equipment manufacturing, and has gradually grown into a leader in the electric industry. Fig. 1: Range of products from Chint. As a world-class supplier of low-voltage electrical products, Chint power distribution products include more than 100 series and 10 000 specifications. As a low-voltage electrical brand with the largest production and sales in Asia, the company provides a “one-stop” low-voltage distributor offering solutions for power grids, the petrochemical and manufacturing industries, real estate, the construction industry, and many others. grid companies in nearly 500 substation and power transmission projects across the country. As a world leader in electrical solutions, Chint’s products, used in clean energy generation, greatly improve the power conversion rate. Intelligent transmission and distribution equipment with low energy consumption stabilises power electricity transmission and effectively reduces costs. CHINESE electrical engineering giant, CHiNT Electric has reaffirmed its commitment to proceed with the implementation of the 100 megawatt Gwanda solar farm project, asserting the debarment by African Development Bank (AfDB) will not affect the project. This follows an enquiry by Zimbabwe Power Company (ZPC), the accounting officer, on implications of the debarment to the $162 million Gwanda solar project and ZPC given its funding relationship with AfDB, which has financed some of its projects. In the enquiry, ZPC cited the code on mutual implementation of debarment decisions by multi-lateral financial institutions across the world. AfDB debarred the $30 billion asset company (CHiNT), the technical partner of local private firm, Intratrek Zimbabwe, listed on the Shanghai Stock Exchange, with the bank alleging that CHiNT had dabbled in a number of fraudulent practices. For the alleged offences, CHiNT was barred from participating in any AfDB funded projects for a period of 36 months. CHiNT did not immediately contest the allegations to avoid a confrontation that could jeopardise its business interests on the continent. The Gwanda solar forms part of a three-pronged strategy taken by ZPC to deliver significant power from three low “hanging fruit” solar projects aimed at addressing Zimbabwe’s acute shortage of power. Demand for power stands at 1 600MW, at peak periods, against internal generation capacity of about 1 400MW, which is not always available given water level limitations at 1 050MW Kariba and reliability of Hwange Power Station, due to its advanced age. This demand for power, based on subdued performance of most sectors of the economy, is anticipated to grow exponentially, as the economy recovers from nearly two decades of stagnation. Global lenders, led by the World Bank, have become more amenable to supporting mostly renewable power projects, given the environmental impact of thermals such as coal fired plants. Zimbabwe has to import an average of 300MW-350MW to bridge the deficit, but this is coming at a huge cost given the foreign currency crisis the country is facing. ZPC, mandated by Government, is working on several projects to raise internal generation capacity. It has reportedly opted for an amicable resolution of the issue with AfDB while also receiving legal counsel on the debarment. Highly placed sources said CHiNT Vice president Lin Bosheng wrote to ZPC to allay any fears on the project, but said the concerns and enquiry by ZPC were unfortunate given their timing, coming when the funding for the project was nearing completion. Sources said CHiNT was of the view that while the issue of the debarment by AfDB was unfortunate, together with its Zimbabwean partner, they were awarded the tender to construct the Gwanda solar farm on the strength that they were the least cost bidder to specification after a competitive bidding process. CHiNT also reportedly said it had successfully executed projects for Zimbabwe Electricity Transmission and Distribution Company (ZETDC), ZPC’s sister company, which puts its capacity to deliver on solar power beyond doubt. Senior management from ZPC also visited CHiNT in 2016 and witnessed the Chinese firm’s own solar farms and projects it had executed for its clients, which further confirmed its capacity to undertake turnkey projects of that nature. “CHiNT kindly implored ZPC not to be swayed by developments which are not related to the implementation of the solar project,” a source said. “As communicated (earlier) to ZPC, China Eximbank and other Chinese commercial banks stand ready and remain committed to fund the project once Sinosure and the Government of Zimbabwe have settled the ongoing process of reengagement. “The funding model for the solar project with prescribed asset status is therefore independent of AfDB, as we anticipate the first phase of 26,1MW for the project to be funded through infrastructure bonds raised through pension funds and insurances locally by CBZ. “CHiNT argued that it was still capable to fully assume its duties and successfully implement the project. CHiNT’s financial and technical muscle cannot be overemphasised,” a source said, which claimed to have seen the correspondence by CHiNT. 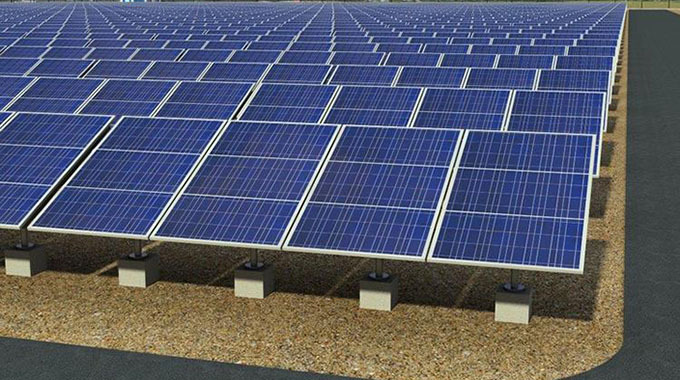 The Chinese company, which has installed over 12 000MW of solar power, is set to meet ZPC over issues regarding the implementation of the solar project, discuss and set in motion the process of raising infrastructure bonds for phase one of the Gwanda project. Further, CHiNT took comfort in that while China Eximbank had reportedly been implicated in cases of debarment in the past, which it resolved successfully, it had still gone on to successfully fund turnkey projects across the world. For ZETDC, sources said, CHiNT had also constructed a total of 15 sub-stations under a multi-million dollar emergency infrastructure rehabilitation programme, which was rolled out across the country, confirming its capacity. The Gwanda solar farm project will be implemented in phases of 26,1MW, 28,2 MW, 21,7MW and 23,9MW until the full lot of 100MW is exhausted. A power purchase agreement is on course to be signed with ZETDC, subjected to a tariff approval by Zimbabwe Energy Regulatory Authority (ZERA), projected to be viable for Gwanda solar in the region 10,87 cents to 12,79 cents (US) per kilowatt hour. The energy industry regulator, ZERA, has also already awarded the Gwanda solar plant project a generation licence for a period of 25 years. While the total project cost is $162 million, the initial engineering procurement and construction (EPC) contract cost was cut from $172 million to $139 million on the back of technological developments, which have reduced cost of installing PV solar power plants. Finance and Economic Planning Minister Patrick Chinamasa last year accorded the Gwanda solar project liquid and prescribed asset status, making it attractive to both pension funds and insurance. This means the Gwanda solar project can access about $1,5 billion, to be raised through CBZ, out of about $10 billion worth of assets held by pension funds and insurance companies, which the institutions can use to meet their prescribed asset investments. The project has also obtained national project status and has been awarded an Environmental permit, building permit, water extraction permit and business permit.